DR TASS COSMETIC & SKIN CLINICS are offering one lucky winner the chance to WIN an Exclusive VIP Mother’s Day Giveaway. · One Night Stay at Luxurious CROWN TOWERS. · An Exquisite Dining Experience with Matching Wines for 2 guests at Exclusive NOBU. · Breakfast for Two at The Conservatory Crown. · A Bottle of Sparkling Wine on arrival. · Microdermabrasion Treatment for 2 at the Dr Tass Cosmetic & Skin Clinics. · A select range of Dr Tass Skincare products. · Accommodation & Dinner reservations MUST be redeemed on Friday 24th May 2019. Call 1300drtass to make your appointment. 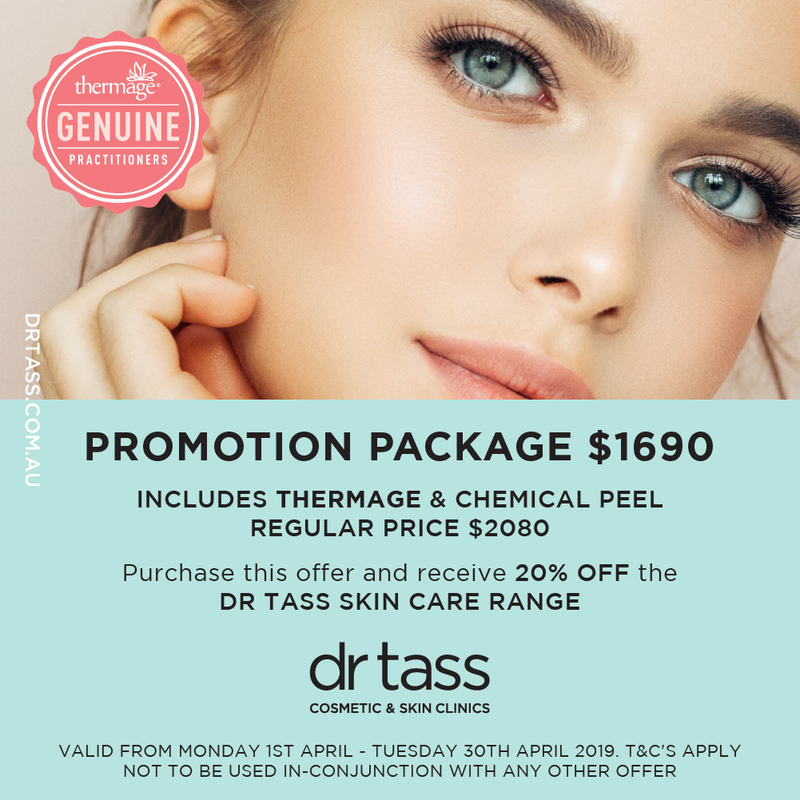 Dr Tass Cosmetic & Skin Clinics are offering our beautiful Patients & Followers this Amazing THERMAGE & CHEMICAL PEEL Package. 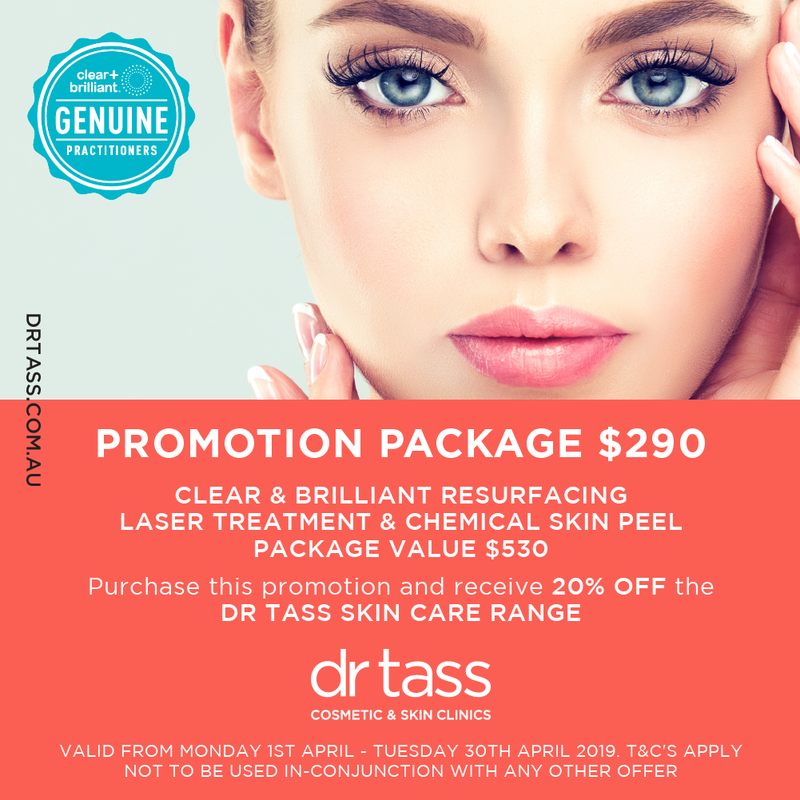 Dr Tass Cosmetic & Skin Clinics are offering our Beautiful Patients & Followers this Amazing CLEAR & BRILLIANT and CHEMICAL PEEL Package. 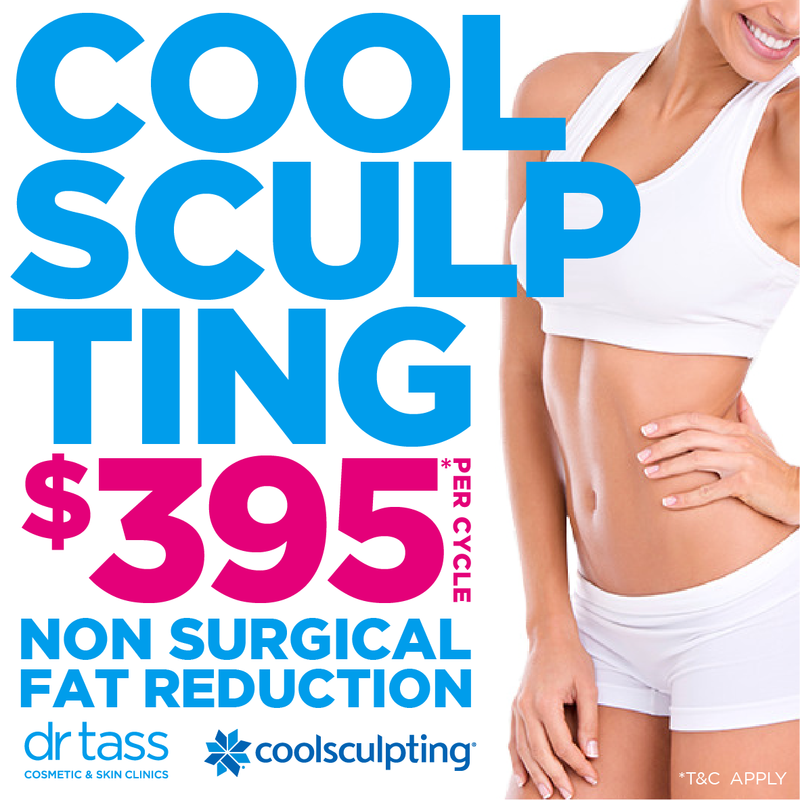 Reduced from $850 per zone to ONLY $395 per zone with the World’s Leading Fat Freezing Technology. COOLSCULPTING is an effective treatment for body contouring and stubborn fat reduction.